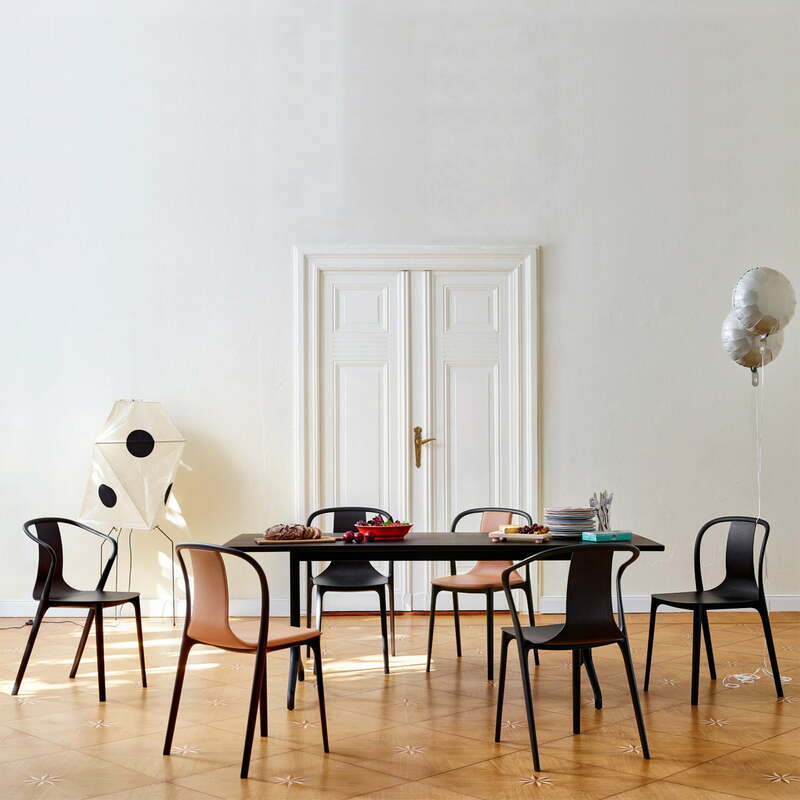 The Belleville Chair Plastic - from the Vitra collection of the same name by Ronan and Erwan Bouroullec - is inspired by the classic French bistro furnishing found in the Parisian quarter of Belleville. More slender, refined and made of new materials, the Belleville collection is a contemporary interpretation of classic French bistro design. 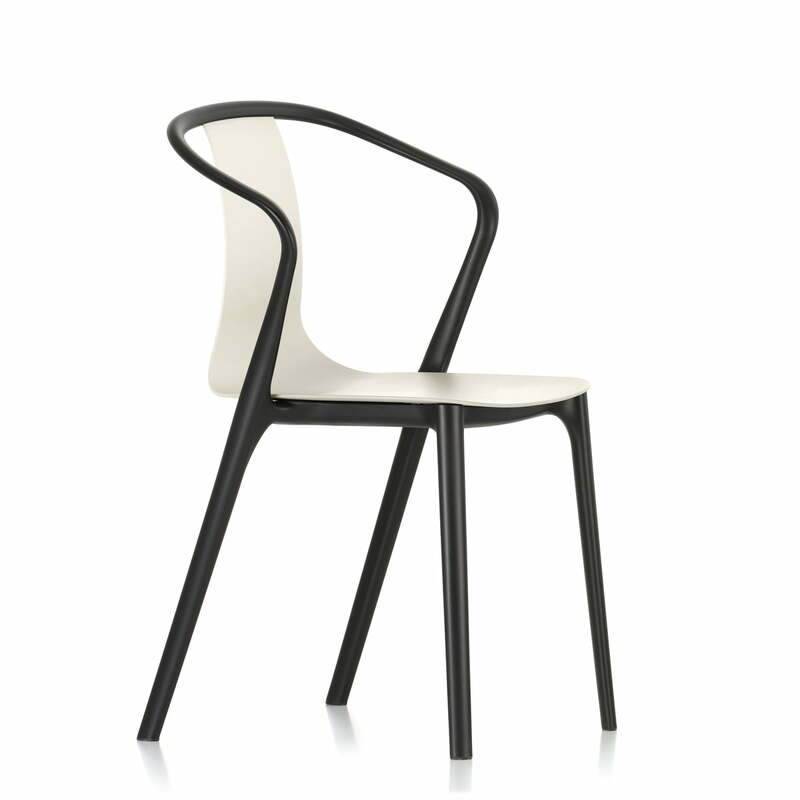 The Belleville Chair Plastic is a plastic chair with two components – a frame structure and a seat shell. A black frame marks the legs and arm/backrest on the chair and supports a thin seat shell, which tapers from a wide seat into a narrower backrest. The seat shell is, in contrast to the frame, available in various colours (cream, basalt, sea blue and moss green) or monochrome in jet black. Inspired by French café culture, the Vitra Belleville Armchair Plastic can be stacked. Thus the Vitra armrest chair isn’t just good for private use, but also in commercial areas such as cafés, waiting rooms or other interiors where the chair needs to be stacked to save space. The two-component construction of the chair enables numerous design opportunities. While the frame is made of black plastic, there are multiple material and cover options for the seat shell. As a plastic variation, the chair is available with a corresponding seat shell in 5 different colours and is suitable for both indoor and outdoor usage. With the matching Belleville Outdoor table, the chair can also be used as a modern garden chair. 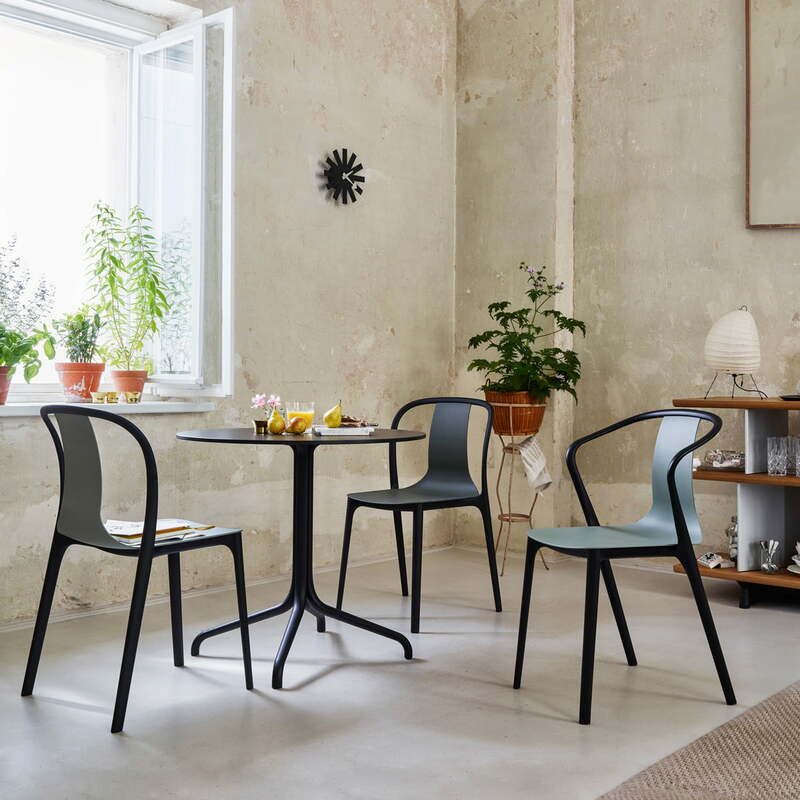 The chair offers other colour and material options, including wood, leather or fabric with a matching seat shell and chair frame in jet black polyamide injection mould. These finishes are only intended for indoor usage, where they can be an exciting feature in living rooms and also gallery spaces or cafés.